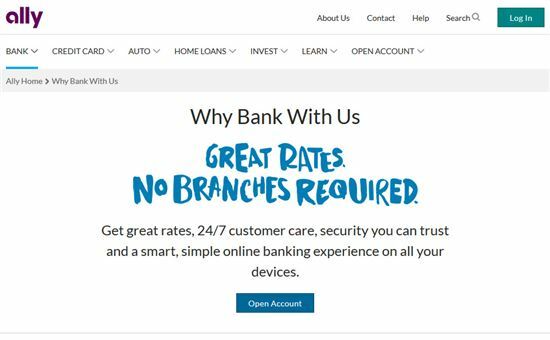 Ally Bank Review 2019: Is Online Savings Safe & CD Rates Good? Ally Bank is a full-service online bank with very competitive rates. Their banking products have no minimum balance requirements or service fees. Ally was previously known as GMAC (the finance sector for General Motors). In 2010, it was rebranded as Ally Bank, an online bank built on a principle of providing better rates and service to customers. So does Ally Bank deliver its promises? Read on for a detailed review. Ally Bank offers competitive interest rates when compared to other online banks--and higher rates than most brick and mortar ones. Is Ally Bank legit? Yes, Ally Bank is FDIC insured and safe. Though it doesn't have physical locations like traditional banks, Ally follows the same rules and legal regulations. 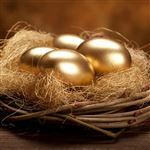 The FDIC insures your savings, checking, and CD accounts up to $250,000 (per depositor), just like the "old-fashioned banks." Ally Bank offers a very competitive APY for their savings account. It has no minimum deposit and no service fees. You can open as many savings accounts as you want. This is great if you are saving for multiple goals. For example, you can have one account as the emergency fund, one for a future vacation, one for a house down payment, etc. Keep in mind: In accordance with federal law, you can only make 6 withdrawals a month. If you exceed that, you'll be charged a fee of $10 per transfer. If you need more access to your money, the Money Market account gives you unlimited ATM withdrawals. The Savings Account is also available as an IRA with the same great interest rate. It's available for Roth, Traditional, or SEP IRAs. Ally's checking account offers two interest tiers based on your balance. The rate is low, but it's still a nice perk compared to traditional checking accounts without any interest. You can use any Allpoint® ATMs without fees. There are over 55,000 Allpoint® ATMs worldwide, so you're never far from cash. In the US, Allpoint® ATMs can be found in popular stores like Target, Costco, Speedway, Walgreens, CVS, and Safeway. And if you do go out of network, Ally will reimburse ATM fees up to $10 per statement cycle. Ally Bank debit card: After opening your checking account, you'll receive your Ally Bank Debit MasterCard card within 10 business days. You must activate your card by phone (number will be on the activation sticker on the card) and set up a PIN. Get free debit MasterCard, standard checks, and postage-paid deposit envelopes. Deposit checks from anywhere with Ally eCheck Deposit by snapping a photo. Make one-time or recurring payments with free online bill pay. Send or receive money to/from any U.S. bank account with Zelle, using just an U.S. email address or U.S. mobile number. Transfer money between Ally account or to/from other banks. Get account information and make transfers using Amazon Alexa. Make secure payments using Apple Pay, Google Pay, Samsung Pay, Masterpass, or Microsoft Wallet. Did you know: Ally also offers one credit card: the Ally Cash Back Credit Card. You get bonus cash back at gas stations and grocery stores. And if you deposit your rewards into an eligible Ally bank account, you get a 10% bonus. 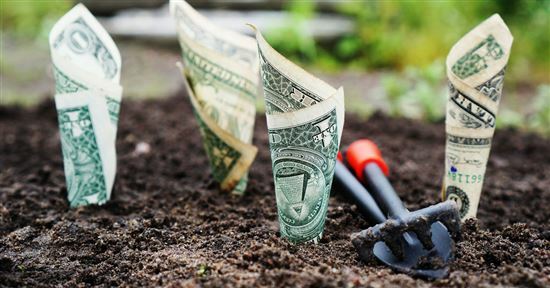 The Money Market account is a combination of a checking and savings account that allows easier access to your money. You'll get a debit card and free checks. The APY isn't as high as the Savings account, but you do get more flexibility in how you can use and access your money. Did you know: Ally's home loan services include mortgage loans and refinancing. You can choose between a fixed rate between 10 to 30 years or adjustable rate, which will fluctuate based on current market rates. Ally has a Price Match Guarantee if you find better pricing at another lender. That rate must be the same loan term and be dated within the past 5 business days. Ally has 3 different CD options with no minimum deposit. High Yield CD: Choose from terms of 3 months to 5 years. The APY differs based on your opening deposit amount. Ally offers excellent rates for short term CDs. Even for a 6-month CD, you can get higher rates than with the Savings account. Raise Your Rate CD: Choose between a 2-year or 4-year term. Usually, you're locked into your rate for the entire term of the CD. But Ally's Raise your Rate CD gives you a chance to increase it if rates go up during the term. You can boost your rate once over the 2-year term or twice over the 4-year term. No Penalty CD: This CD has a fixed term of 11 months. It allows you to withdraw your full balance and interest any time without penalty (after the first 6 days of account funding). This option gives you the flexibility to remove your money if you suddenly need it. 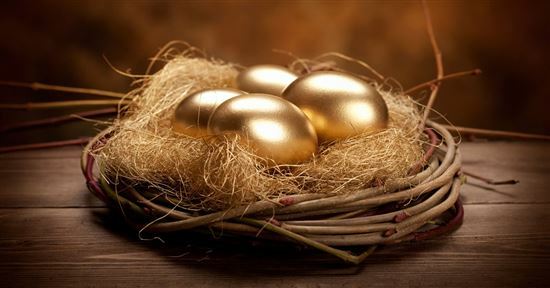 IRA accounts may offer tax benefits. You can choose between a Traditional, Roth, and SEP IRA. The returns are lower than what you could get with a brokerage IRA account. This works best for those who want stability (for example, older people who don't want to risk their investments). No minimum deposit and no maintenance fee. 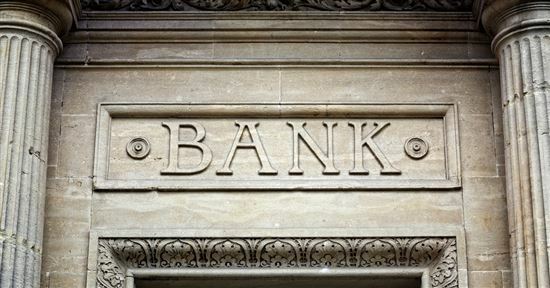 Many banks require a minimum deposit to open an account. And then you have to maintain a certain balance or you'll be charged a monthly fee. But Ally Bank has no fees or minimums for their banking accounts. You can open an account with as little as you want and start earning interest right away. If you open a savings account with no deposit, you must fund it within 30 days of account opening. 24/7 customer service support by phone and live chat. Completely web-based banking may make some people nervous because you lose the personal touch. But rest assured that Ally has a real human person who can help you at any time of the day. Deposit checks by phone. Got a check deposit? It's easy to move it straight into your Ally savings account. Just take a picture on your phone and send it through the mobile app. User friendly web interface. Ally consistently earns high user ratings for its easy-to-use website. They are also completely transparent on their rates, so you won't be blindsided. Bank on the go. Ally's mobile app has high ratings as well. You can make check deposits, transfer money, pay bills, search recent transactions, view statements, find nearby ATMs, set debit card controls, and more all on the go. The mobile app is completely free to use. You can download the mobile app for Android and iOS. You want a one-stop shop for all your financial needs. Ally acquired TradeKing in 2016 and recently launched Ally Invest. Ally Invest charges some of the lowest fees among online brokerages. 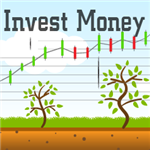 It offers a wide variety of products including ETFs, mutual funds, options, futures, and Forex. Their extensive research and tools rival even the largest brokerages. The platform is free to anyone who opens an account. It's best for somewhat experienced traders who don't need a lot of guidance. FDIC insured. 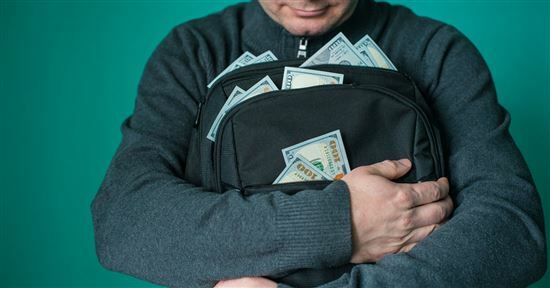 Security is an extremely important factor when you're talking about storing your hard-earned money. Ally Bank is FDIC insured. That means if the bank defaults, the government will pay you every cent you had in the account (up to the FDIC maximum of $250,000). Already Have an Account? You can login directly from Ally's main page. For banking and Ally Invest, it is all the same login. You will be able to see both your bank and investment accounts. For Ally credit card login, you'll need to select "credit card login", and you'll be redirected to login at Credit Card Servicing. No physical locations. Even though Ally offers live help 24/7, some people may still prefer in-person bank transactions. All transactions must take place online, via ATM, wire transfer, or by phone. Search here to find an Ally ATM near you. There are over 43,000 Allpoint® fee-free ATMs in the U.S. Checking Fees: If you want to use Ally for checking as well, the fees do seem to be rising lately. It used to be that Ally offered unlimited ATM reimbursement (for the checking account), but now it's $10 a month. The overdraft fee is $25. No ATM card for savings account. This may be a downside for some. The savings account doesn't come with an ATM card, so you can't make quick withdrawals at ATM machines. Instead, if you need some funds, you'd have to do an online transfer (or by wire, telephone, or check), which may take a few days. Is Ally Bank Right For You? Ally Bank is an online-only bank. Is it right for you? Here are the pros and cons. Lower fees. Because it's online-only, it doesn't have the physical overhead costs like traditional banks. Ally can pass those savings right to customers. There are no service fees on any of Ally's deposit accounts. Easy to open accounts. It's super easy and fast to open an account from the comfort of your home. You don't need to sit down with a banker and fill out tons of paperwork. Convenience. It's easy to do all your banking online. You don't have to worry about getting to a bank during banking hours. You can bank from anywhere, including depositing checks by phone. No in-person service. You may uncomfortable knowing you can't just walk into a branch and get help from a real person. You can only get customer service help by phone, which often means long wait times. Large deposits or withdrawals. If you need to deposit or withdraw a large amount, you may feel safer doing so at a physical branch. For example, if you need a few crisp $100 bills for a trip abroad, you can't just get that from an ATM. No bank relationship. Often times, loyal customers can get extra perks at physical branches where they have a good relationship with the bank manager. For example, you can get a better loan term or get a fee removed. You won't get that from an online bank. Ally Bank Address: Ally is an online bank, which means there are no physical branches to handle your business. Ally is headquartered at 500 Woodward Ave, Detroit, Michigan, and 200 West Civic Center Dr, Sandy, Utah. It has corporate offices in several other cities across America. You can reach Ally customer service 24/7 by phone and live chat. If you need cash, you can withdraw cash surcharge-free at any of the 43,000+ Allpoint® ATMs. In the US, Allpoint® ATMs can be found in popular stores like Target, Costco, Speedway, Safeway, and drugstores. Picking a place to park your money deserves some thought. You should compare a couple different options. Let's take a look at how Ally measures up to other online savings accounts. Capital One 360's savings rates aren't as high, but their 1-year CD rate is better. It's also has the same rate for all balance tiers, so smaller investors will see more returns. Another plus: Capital One 360's Interest Checking account has overdraft options in cases of accidental withdrawal. 2.20% APY. No monthly service fee and no minimum deposit. 1% APY. No monthly service fee and no minimum deposit. 0.75% to 3.00% APY. Terms of 3 months to 5 years. 12-month CD APY of 2.75%. No minimum deposit to open. 0.60% to 3.10% APY. Terms of 6 months to 5 years. 12-month CD APY of 2.70%. No deposit to open. 0.90% APY under $25,000; 1.00% APY $25,000 or more. No monthly service fee and no minimum deposit. 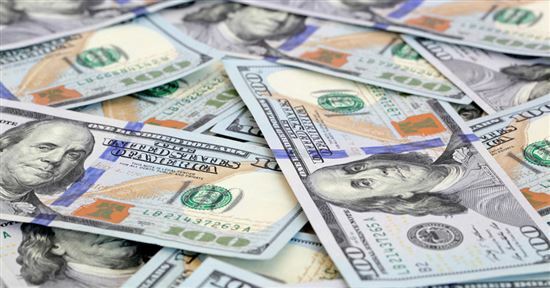 0.85% APY up to $9,999.99; 2.00% APY $10,000 or more. No monthly service fee and no minimum deposit. Ally Bank: Pricing information from published website as of 4/18/2019. Barclays only offers two products: Savings and CDs. The rates are comparable, though Ally wins for short-term CDs. If you want a one-stop-shop, then Ally is the better option as it has a range of banking products. 0.75% to 3.00% APY. Terms of 3 months to 5 years. 12-month CD APY of 2.75%. No minimum deposit to open. 0.35% to 3.05% APY. Terms of 3 months to 5 years. 12-month CD APY of 2.70% APY. No minimum deposit to open. Barclays: Pricing information from published website as of 4/10/2019. Synchrony (which used to be part of General Electric) also doesn't require a minimum deposit or a minimum balance. And there's no monthly service fee either. The biggest plus is that Synchrony comes with an ATM card. You can withdraw money quickly (up to 6 per statement cycle) instead of having to wait a few days for the transfer to be completed. On the downside, Synchrony doesn't offer real human customer service 24/7. If you need help in the middle of the night or on a Sunday, you may be out of luck. The Popular Direct Savings Account offers one of the highest interest rates. However, the minimum deposit is a whopping $5,000. And you must maintain a $500 balance in the account or else you'll be charged a monthly fee. If you close the account within 180 days, there's an early closing fee of $25. This option is better for those who have more to save and don't need to move money around too often. Add the GoalTrack Savings programs to any eligible Citizens Bank savings account and be rewarded for reaching your goals. Select a target timeframe and monthly savings goal amount. If you achieve your goal, you will receive a gift card. The amount varies based on your monthly savings and the timeframe. To get the minimum bonus, you must save at least $25/month for 8 months (above your existing balance). The most you can receive is a $250 gift card if you save $400/month for 36 months (above your existing balance). Only available to residents of CT, DE, MA, MI, NH, NJ, NY, OH, PA, RI, and VT. Ally Auto Loan: Ally offers vehicle financing through dealerships. This means you have to go to a dealership that offers Ally financing--you can't contact Ally directly to get loan rates and preapproval. The dealership will determine your rate depending on your credit. If you go with Ally, you can choose between buying and leasing. If you're not sure, the Buyer's Choice option allows you to decide at the 4th year mark if you want to keep the car or sell it back to Ally. The last option is to pay smaller monthly payments with one larger payment at the end. Is Ally a safe bank? Yes. Ally is FDIC insured for up to $250,000 per account. This means if Ally Bank defaults, the federal government guarantees the balance in your deposit accounts, up to $250,000 per account. Are online banks safe to use in general? If the bank is FDIC insured, you can be confident that your money is safe. Online banks still must follow the same rules and regulations as brick-and-mortar banks. They just don't have physical locations. As far as conducting banking business online, that is generally safe, too. Banks use layers of security to protect your information. Ally has anti-virus protection, firewalls, and encryption, as well as a 2-step authentication procedure to protect its customers. CDs are a secure vehicle to park your money and grow some interest. You are guaranteed interest. When you sign up, you know exactly how much interest you will earn on your deposit. It will not change for the entire term. 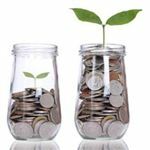 If you are sure you won't need the money for a specific amount of time, then CDs are great to grow your money a little safely. Is Ally Bank only online? Ally is an online bank only, so there are no physical branches. It has a couple of headquarters offices in Detroit, Michigan and Sandy, Utah. There are also several other corporate offices across the U.S.
Quite frankly, I don't visit brick-and-mortar locations for any of the banks that I use for bank accounts, so this wasn't an issue for me. I love having the higher interest rate than most traditional banks. In terms of accessibility, I have a debit card attached to the account and mobile deposit, which makes banking easy. I was also able to wire funds out of the account entirely online—no need to visit in person or make a phone call. Is Ally Bank American owned? Yes. Ally Bank was originally known as GMAC (the finance sector for General Motors). In 2010, it was rebranded as Ally Bank. It is headquartered in Detroit, MI and Sandy, UT. Ally Bank is one of the most reputable online banks in the industry. We love that Ally has no minimum deposit, no account minimum, and no maintenance fees. It's also great that the bank offers so many options, allowing you more flexibility. The interest rates are pretty solid for today's standards. And you may feel at ease knowing you can reach a real person at any hour of any day. There's no real downside to opening an Ally Bank account, since there are no maintenance fees. Disclaimer: This content was first published on January 3, 2017. This content may have been updated on April 15, 2019. Information including rates, fees, terms and benefits may vary, be out of date, or not applicable to you. Information is provided without warranty. Please check the bank's website for updated information. Leave a comment about Ally Bank Review: Is It Worth Opening an Account? Simple Bank Review: Account Good for You? When was the last time you visited the branch of your local bank? If you've gone completely digital, you may want to use a bank that's done the same thing. Simple Bank offers many of the same bank features as physical bank branches without the overhead. Chime Bank Review: Is It Good? Banking on your smartphone is becoming a popular way to bank. If you could pay lower fees and earn more interest, would you be interested too? Chime Bank may be the answer to your needs. The right bank for you depends on your needs. Do you want easy access, low fees, or good interest rates? Here's how to choose the best bank for you.